Available NOW! I have 4 units in stock ready to ship. Order below or contact me if you would like to expand the order with indexing valves. This is a picture of the insides of the controller. The cover is gray plastic. There are no lights, buttons or controls on the outside of the case. The cover is held on with screws and there are even little covers to place over the screws if you like. The Valve is actually a 2-2 1/2″ valve which you can use bushings to bring the plumbing size down to whatever you need. In the picture I am using 1 1/2″ plumbing. Automated Diversion Valves are 3 way (one input and two output) swimming pool valves that can be fitted with motorized actuators. 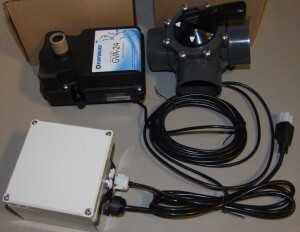 I have been wanting to sell these for years but have had trouble finding a control system appropriate for Aquaponic Use. I’ve given up searching for an already built turn key solution and I am making my own control kit. I had problems with the less expensive valves and actuators so I had not been selling them lately. I’ve purchased some of the better quality parts that I have been using without trouble for years now. I can’t sell this package cheap because I can’t get those parts cheap. Complete Package comes with the Diversion Valve with the Actuator already mounted and wired into the control box. Control already set to 5 minute intervals. I opted to go for the symmetric control since it is too easy to switch the polarity on the actuator so it is best to go with the same time on each side with the control. The Relays I have do between 1 and 10 minutes, I run mine at about 5 minutes per side. To adjust the timing, you open the box and use a small screwdriver to turn the single control nob up or down, max should be about 10 minutes. With a Danner MD 18 pump I can easily flood a 100 gallon grow bed at 3+ feet of head and 30+ feet distant through 1 1/2″ pipe and a 1 1/2″ Low Flow 6 way indexing valve. The diversion valve is alternating between two of those indexing valves so I have 12 beds on that array with each bed getting water for 5 minutes every hour. If you are running a much smaller system and need to use a smaller pump (please get with me to make sure you have a big enough pump to operate the indexing valves,) I recommend the 1 1/4″ Gravity Modified Indexing Valves, minimizing head and running the timer at closer to 10 minutes. If your system is TINY and you are not using an indexing valve at all, you could still use the automated diversion valve system to alternate flow between two beds or two banks of beds. If you contact me, I may be able to make a custom control that can do between 6 minutes and 1 hour or possibly even an asymmetric timer but those will require some lead time for ordering the custom parts and will cost a bit more. The wire between the control box and actuator is about 14 feet long. 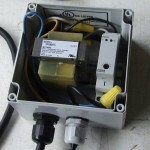 The control box is weather resistant for outdoor use and the power cable from the control box is about 5 feet long. 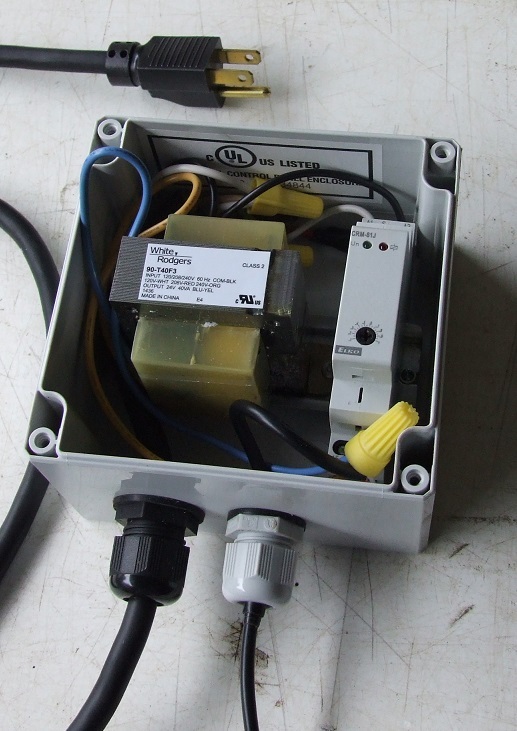 The control box is a plain light gray box with a gasket between the lid and box, the lid screws onto the box. The box can be mounted to a post or wall with screws (not included) without affecting the weather tight integrity of the box. 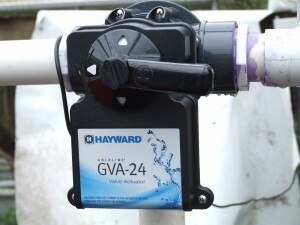 These valves do not restrict water flow. These valves do not require a certain amount of flow or pressure to operate. 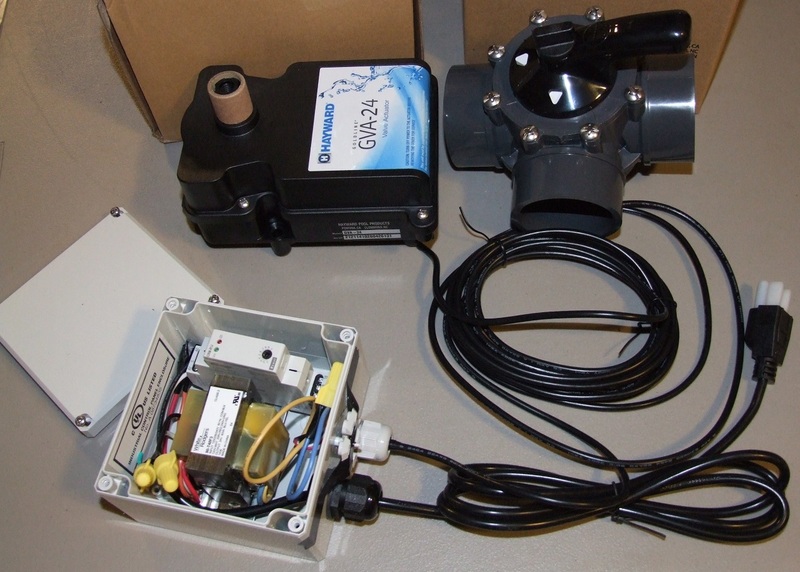 I have posted many times in the past about Diversion valves and controllers. Here are links to those old posts. I am in need of an automatic valve and control that I can continually run my pump but switch between 2 watering zones every 7 min. I have 2″ PVC running at 50-60 psi. Please advise what is needed to accomplish this. Unless you mean 50-60 gpm, in which case no problem the valve/controller can handle that and the valve is for 2″ pipe. The controller is adjustable between 1-10 minutes per side using a screwdriver to turn the pot so you will probably need to time it to adjust it by hand since it is not a digital controller. I have set them to roughly 5 minutes per side when I built the existing controllers.